We adjusted the new model slightly. 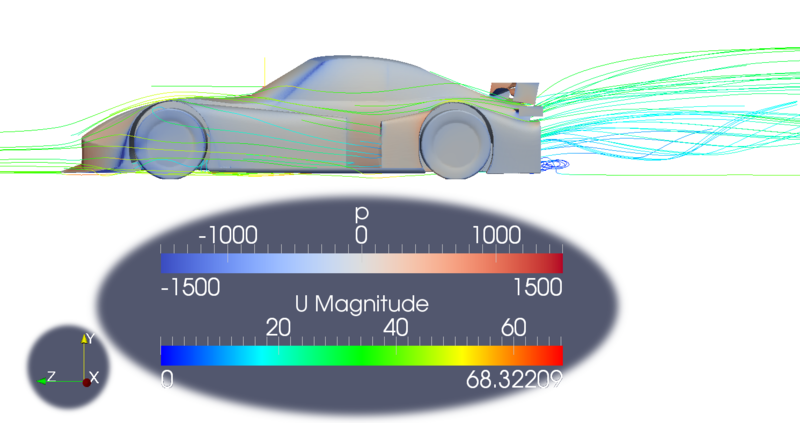 The new diffuser design produces massive values in the CFD calculations. With a design that is based on a stock car we have a considerably better downforce/drag-ratio than the group C Le-mans prototypes before the rule changes. The Nissan P35 at best achieved a downforce/drag-ratio of 5.36. Our most recent value is 5.69. As for how realistic our CFD values are, we won't really know until we are able to take the car to the track.